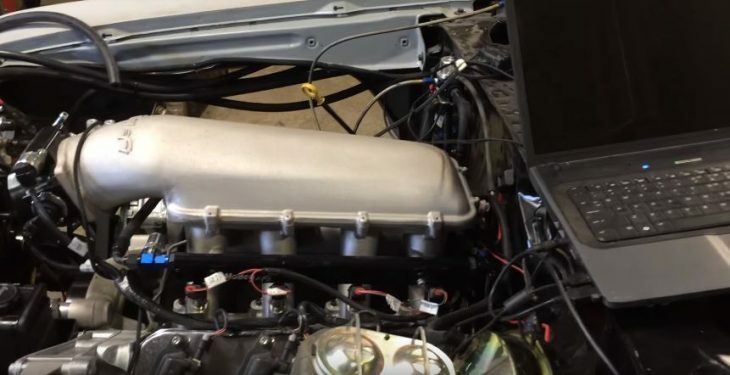 Best LS3 Intake Manifolds Reviews: Top-5 in April 2019! An intake manifold is essentially a solid cast component made up of many cylindrical tubes that are folded around to deliver a fuel/air mixture to the engine. The intake manifold injects either an optimized fuel/air mixture or indirect injection models, only air into the cylinder heads. The even distribution and amount of air added to the mixture provides differing levels of performance, ranging from stock to racing and heavy duty hauling. Aftermarket intake manifolds are designed to counter the throttle valve restriction found in reciprocating spark ignition piston engines. The added manifold air counters the vacuum produced by the engine, and increases performance, driving power up and improving torque. Modern performance upgrade manifolds are usually made from cast aluminum and come with a plethora of finishes. Some modern plastic composites that provide thermal and strength benefits at a fraction of the cost are slowly replacing the aluminum models. The Holley Sniper comes with Low Profile intake manifolds and an overall height difference of 1.875″ lower than the original Sniper hi-ram fabricated manifold. The manifold is a ready to bolt on a model designed to accept Sniper high-flow throttle bodies. This model is constructed with precision machining, and TIG welded for an accurate fit and maximum structural integrity. There are two Throttle Body opening sizes of 92mm and 102mm, and the finish is black anodized. The RPM power band is between 1,800 to 6,400, and the emission code is 3. Low Profile Design for fitment under stock hoods on Corvette, Camaro, Firebird, GTO, and others. Plenum volume maintained increased runner dimensions. This is an over 750HP intake manifold and will provide your LS3 application with amazing performance improvements. This is the Fast polymer LSXR 102mm Intake Manifold for LS engines. 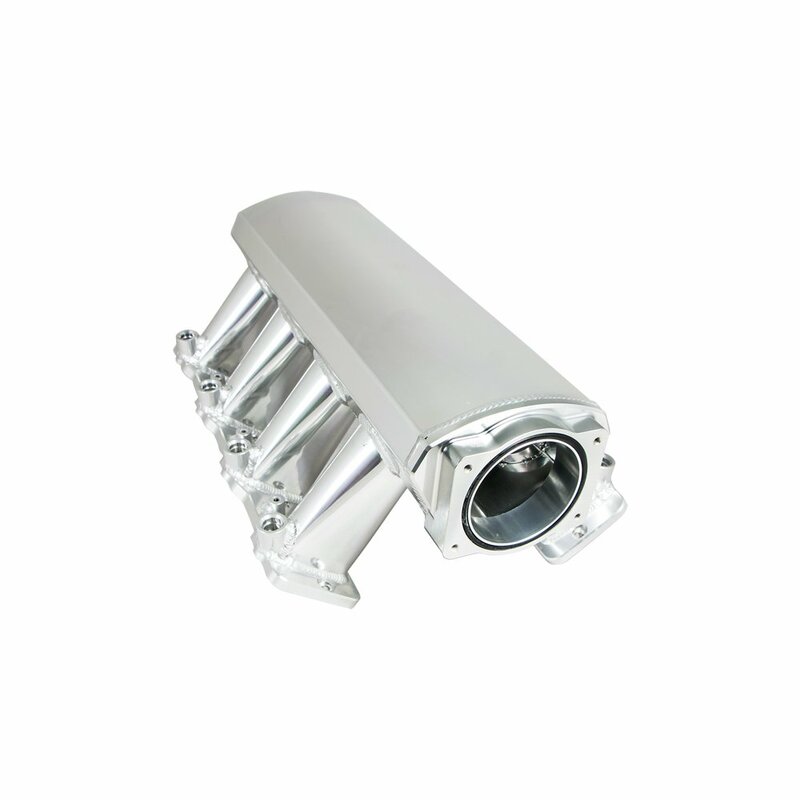 This Fast polymer manifold is designed to outperform aluminum intake models. This is a black colored polymer that comes with lighter weight, increased strength and improved heat dissipating features that deliver better performance than aluminum manifolds. This model is designed for rectangular port GM LS3 and LS7 engines and will also fit cathedral port LS1/LS2/LS6 engines. This 102mm model features a unique modular design that provides you with a fast and easy disassembly as well as enables you to remove individual runners for porting. This model also comes with integrated nitrous bungs and accurate bolt-on fitment for factory accessories without modification or clearance concerns. Abel to remove individual runners for porting. Constructed from an advanced polymer material. Fast is a leading innovator in modern materials, and this is one of their successful and exceptional performance models that delivers ultra-lightweight performance at a fair price. This is the Holley 300-135 LS3 Mid Rise Modular EFI Intake for LS3 applications. 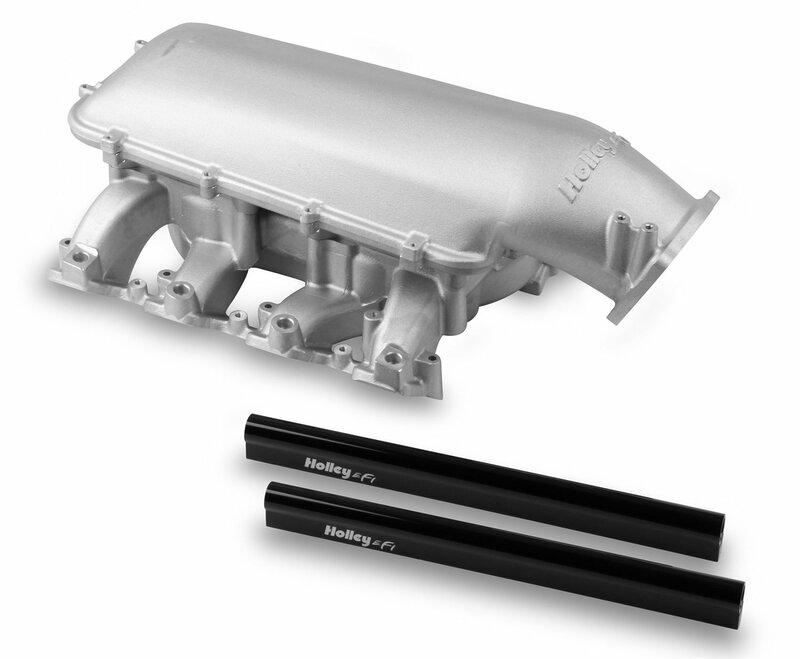 This Holley LS Modular Mid-Rise Intake manifold is a cast aluminum alloy component used to upgrade for Performance Street or strip applications that come with limited hood clearance. This overall height of this model is only 10.44”. Since the 300-135 has a modular base, you can opt to buy the complete kit that comes in either a 92mm or 105mm EFI throttle body plenum top. You can then add billet fuel rails or use the optional upper plenum adapter. The adapter accepts all of the Holley Hi-Ram plenum tops. This model works in an operating range between 1,500 to 6,500 RPM. 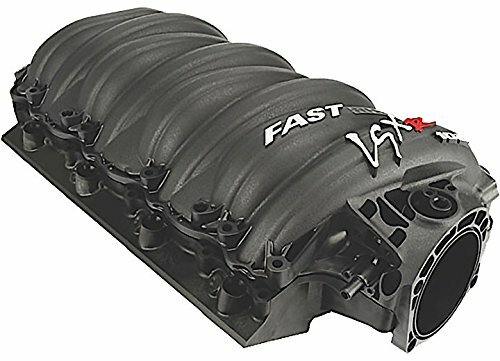 This is another perfect performance grade upgrade intake manifold for many LS3 applications and is really priced well. This is the Top Street Performance 81003 102mm Intake Manifold for LS engines. 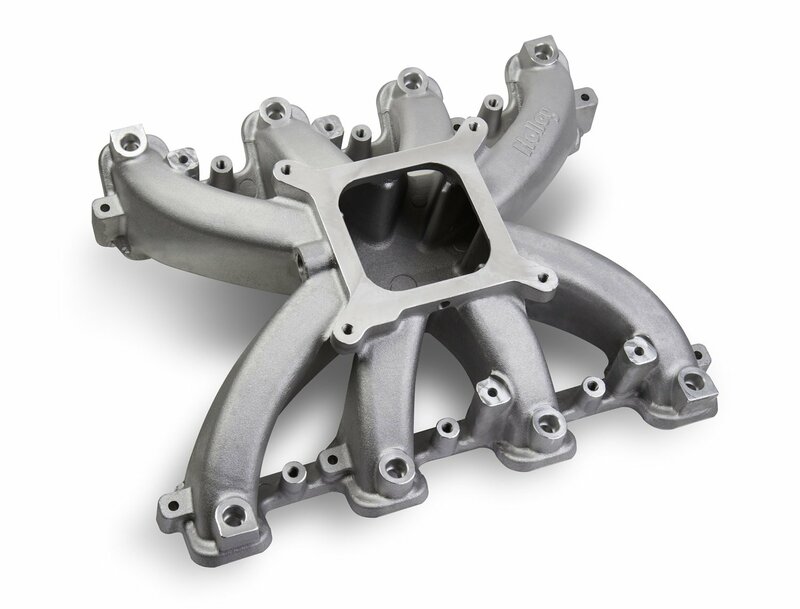 The Top Street Performance 81003 is a multi-port intake manifold made from 3.5mm thick T-6061 aluminum, precision machined, and TIG welded to provide consistent strength and performance. This model comes with a 102mm throttle body opening and has velocity stacked runners. Each port has its own O-ring for absolute seal, and the head flanges are 7/16” thick. The finish is black anodized. The latest updates to the design include a reduced height and angled throttle body opening for clearance, and the addition of a MAP sensor bung on the rear of the manifold. This is an ultra-low upgrade that has a height of only 6 ¼”, which makes it a top rated low hung intake manifold for performance upgrades. What an exceptional design, and what performance, it is really hard to beat this model in application performance and yes, the price is on the higher side, but you get perfection with this model. The Holley 300-136 is a spider-like an intake manifold that delivers a 2,500-7,000 RPM broad power band of performance. This model weighs only 11.5 lbs, so you get that added lightweight performance too. This model uses an LS Single Plane Mid-Rise design and works with both carbureted and EFI applications. 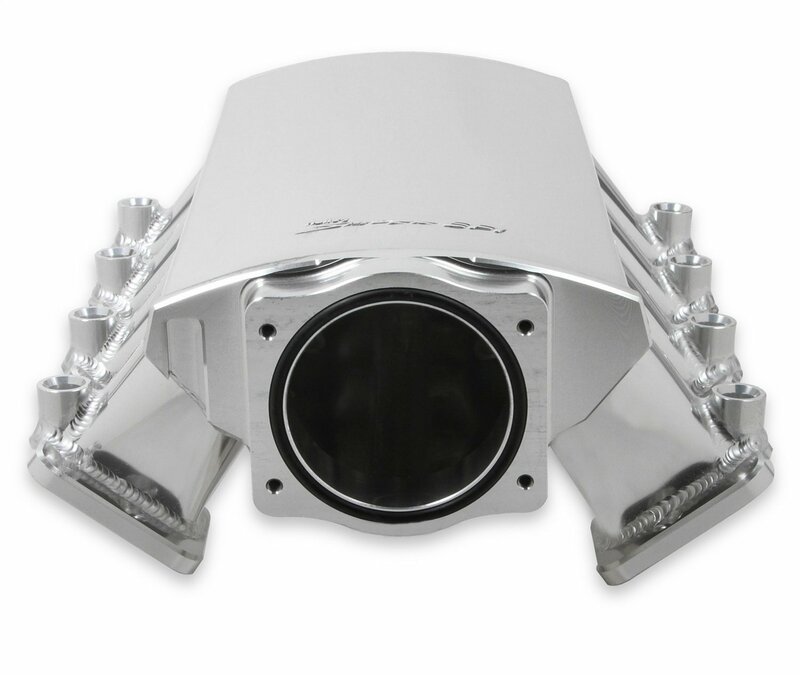 The runner design of the intake manifold utilizes air flow to improve cool air reduction, and the wall thickness of the aluminum supports faster thermal temperature control. This model is designed as an ultra-low model; the port sizes are 2.50″H x 1.15″W, and the Carb Mounting Flange Height from Lifter Valley Cover Flange is only 5.42″. This is a budget-friendly beast of a performance, and it actually outperforms many more expensive models. This is an exceptional intake manifold and is designed for work not show. GM first introduced its LS V8 engine in 1970. This engine was a completely new design and only had its rod bearings, lifters, and bore spacing parts that were shared with the older Chevrolet small block V8. The first and basic LS variations used cast iron blocks, and the performance models were cast out of aluminum alloy and had cast iron cylinder liners. There are three generations of LS small-block engines, and they are II, IV and V. The latest generation V is, in fact, an LT1 designated model, and it was introduced in 2014. There are many versions of the LS models, and the LS3 first appeared in 2008 in the Corvette. This initial LS3 model provided 430 bhp (321 kW; 436 PS) at 5900 rpm and 424 lb/ft (575 N/m) at 4600 rpm. The LS3 block replaced the LS2 and came with a 103.25 mm (4.065 in) bore which delivers a 6,162 ccs (6.2 L; 376.0 cu in) displacement. The cylinder heads are higher coming from the L92, and it comes with 0.551 in (14 mm) lift, a 10.7:1 compression ratio camshaft. The valvetrain comes with 0.236 in (6 mm) offset intake rocker arms, and the factory intake manifold is a high-flow model. The LS3 cylinder heads use 2.165 in (55 mm) intake valves, and 1.59 in (40 mm) exhaust valves, but these also limit the maximum RPM to 6600.